Odysseus was one of the most influential Greek champions during the Trojan War, but he is most famous for the ten years it took him to return home from the war…and of course his infamous Trojan Horse trickery. Legend is defined as folklore historically grounded…I’d like to tell you not of the Greek Legend of Odysseus, but of the Great Groused Legend of John Charles Phillips, MD. 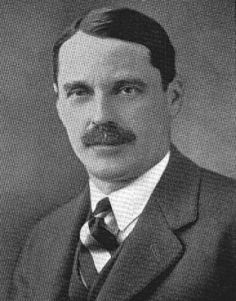 John C. Philips was born on November 5th, 1876 in Boston, Massachusetts. He was the great-grandson of the very first mayor of Boston…and he came from a long line of Harvard graduates dating back as far as the class of 1650. It would be an understatement to say that John was independently wealthy…he was bred from New England wealth and position. John developed a great love for the outdoors (hunting and fishing) as a youth that he would literally carry to his grave. He graduated from Harvard with a B.S. in 1899 and received his MD in 1904 from Harvard Medical School. John never really participated in a traditional practice of Medicine; however, he did spend two years as the house officer for the Boston City Hospital. John married Eleanor Hyde from Maine in 1908 and they had two sons and two daughters. John traveled the globe extensively to such geographical places as Africa, Greenland, Cuba, Japan, Korea, China, Mexico, the western US, & Canada to collect bird and mammal specimens to donate to zoological museums. In 1915, John decided to become a humanitarian and got involved in the Great War by accepting an honorary commission with the Royal Army Medial Corp with the British Expeditionary Force. He was in Great Britain until the US become involved in the war in 1917. John returned to the US to accept a commission in the US Army Medical Corp. He was the commanding officer for the 33rd Field Hospital of the 4th Regular Army Division in France and Germany. John returned from Europe in 1919 after 26 months of combat service. John Phillips was friends with such upland greats as Ben Ames Williams, Nash Buckingham, Thomas Barbour, Col. Hal Sheldon, and Horatio Bigelow just to name a few. He and Nash worked on forming the American Committee for International Wild Life Protection which was founded to preserve and protect wildfowl. His most noted literary work was his four part monograph A Natural History of the Ducks published from 1922 to 1926. My favorite works of his appear in two of his books A Sportsman’s Scrapbook (1928), and the sequel A Sportsman’s Second Scrapbook (1933) both were illustrated by the great A. L. Ripley (1896-1969). The Great Groused Legend of John C. Phillips is not about the greater than 200 articles and books that he authored nor the vast tracks of land he donated for wild life conservation or the zoological specimens he collected. The legend spans from John being a Dyed-in-the-Wool New England Ol’ Pa’tridge Addict! 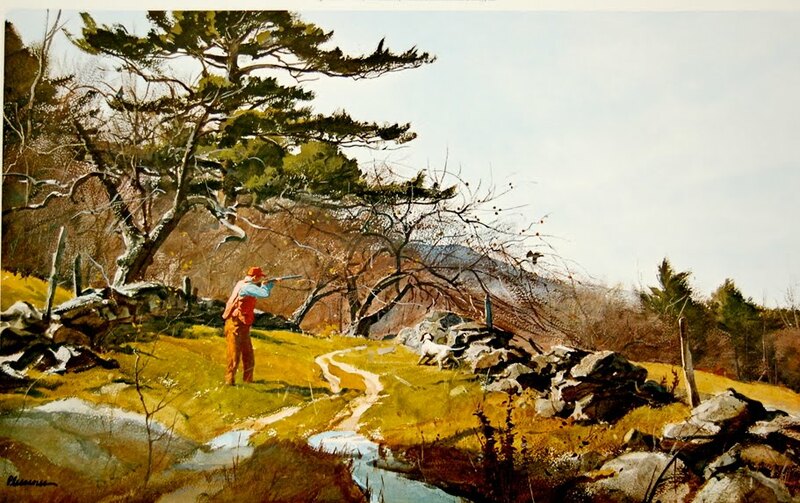 Gunning for grouse and woodcock in his beloved New Hampshire Coverts behind well bred setters was his passion…his reason for existence and the reason for his death. On a damp, gunmetal-gray, November (14th) day in 1938 while gunning grouse with good gunning companion and friend Wayne Colby near Exeter, New Hampshire, John C. Phillips, MD passed away due to heart failure. 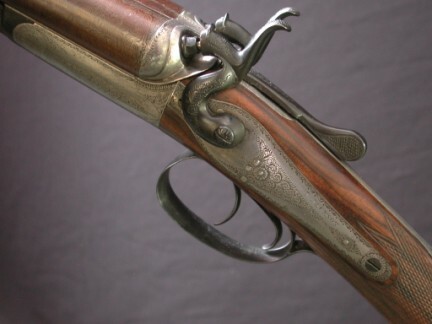 It is rumored that John’s limp body was found hunched over his treasured Damascus double-barreled hammer gun with both triggers cocked back as if he was walking in on a pointed pa’tridge by his beloved setterdog. 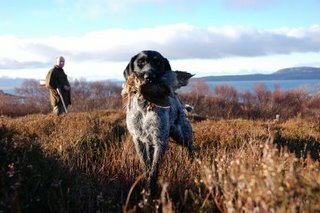 What a grand way to meet the Maker of our grouse coverts! >Very interesting story, Shawn… and not altogether a bad way to die, eh? >Nice story Shawn, love that setter print. >Shawn, Great post! I especially like the ending where the funeral attenders hear the shot in the woods. 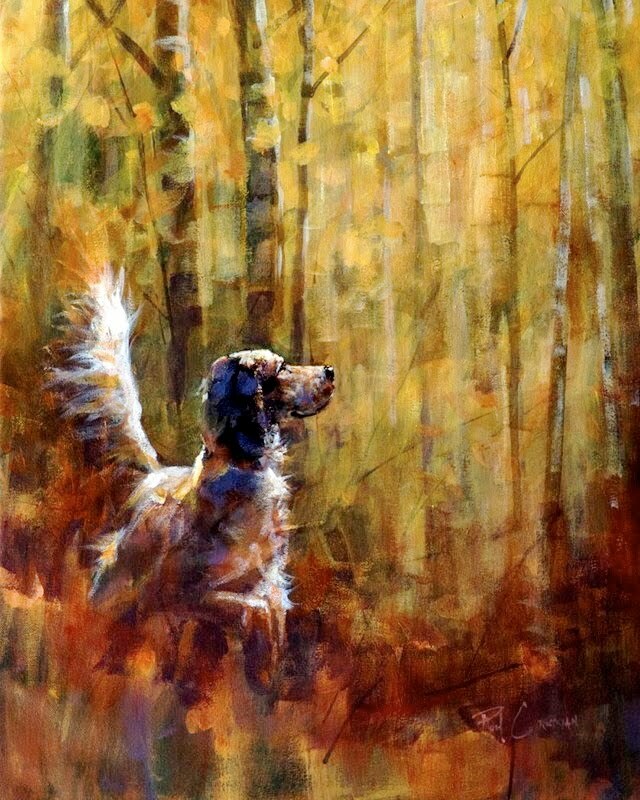 . . like the ghost of John Phillips still out hunting ruffed grouse. >Lovely! My reading of his books will be all the more special now. >Great Story.BTW I have a Pleissner over the fireplace. Its called "Fishing the AuSable"
There is a very poignant story that goes with Dr Phillip’s death. The story starts with Classics of the American Shooting Field a book he edited with Lewis Webb Hill, MD.The last story in that book is The Eftest Way, by Ben Ames Williams. 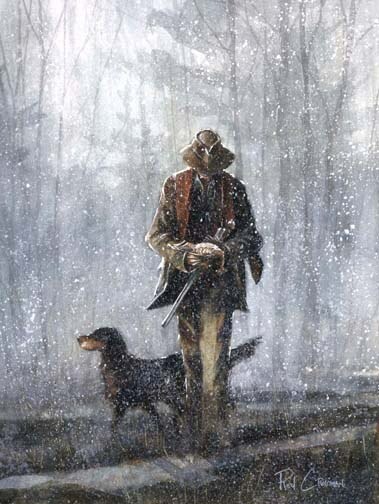 The Eftest Way ends when the hunter dies with a partridge in his left hand and his dog on point to another partridge and the right barrel with a live cartage in it. My copy of that book, bought 35 years or more ago, has a typed TRIBUTE TO A SPORTSMAN by Col H. P. Sheldon in it. Col Sheldon tells of his discussion with John Phillips about The Eftest Way shortly before his death when Phillips said:” That would be a grad way to go when a man’s time was up, wouldn’t it.” Much like the famous Cory Ford story The Road to Tinkhamtown. I really appreciate the feedback. I’ve read Ben A. Williams'”Eftest Way” a few times but it’s been a few years. I think I’ll revisit it. Funny you commented on this post…I was considering writting an article about Dr. Phillips for one of the nimrod magazines.